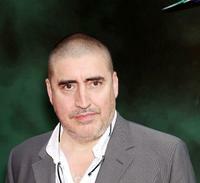 Alfred Molina and Guest at the world premiere of "The Sorcerer's Apprentice." 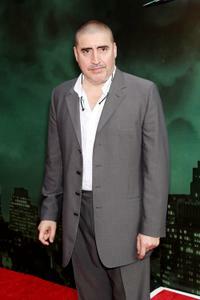 Alfred Molina at the world premiere of "The Sorcerer's Apprentice." 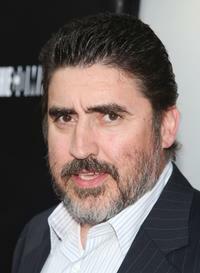 Alfred Molina as Maxim Horvath in "The Sorcerer's Apprentice." Alfred Molina and Michael Pitt in "Silk." Michael Pitt and Alfred Molina in "Silk." Alfred Molina in "The Sorcerer's Apprentice." Alfred Molina and Steve Toussaint in "Prince of Persia: The Sands of Time." 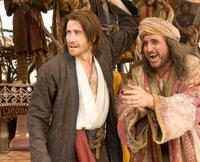 Jake Gyllenhaal and Alfred Molina in "Prince of Persia: The Sands of Time." 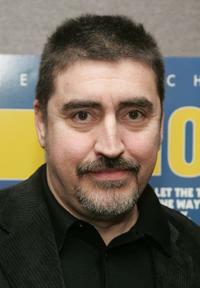 Alfred Molina as Jack in "An Education." 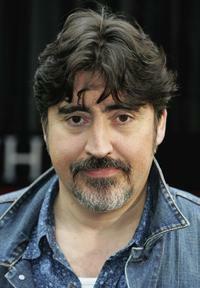 Alfred Molina at the rehearsals for Roundabout Theatre Company's new play "Howard Katz". 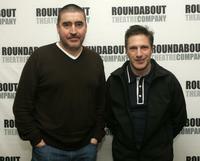 Alfred Molina and Patrick Marber at the rehearsals for Roundabout Theatre Company's new play "Howard Katz". 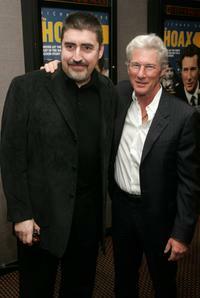 Alfred Molina and Richard Gere at the Miramax Films premiere of "The Hoax". Alfred Molina and Bryce Dallas Howard at the Directors Guild of America, attend Glamour Reel Moments. 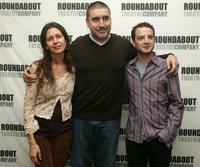 Alfred Molina, Jessica Hecht and Euan Morton at the rehearsals for Roundabout Theatre Company's new play "Howard Katz". Alfred Molina, Katherine Waterston and Bryce Dallas Howard at the Directors Guild of America, attend Glamour Reel Moments. Alfred Molina and Natascha McElhone at the premiere of TNT's "The Company". 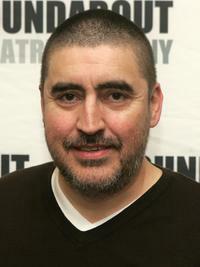 Alfred Molina at the premiere of TNT's "The Company". Alfred Molina and Chris O'Donnell at the premiere of TNT's "The Company". Alfred Molina, Marcia Gay Harden and Daniel Battsek at the Miramax Films premiere of "The Hoax". 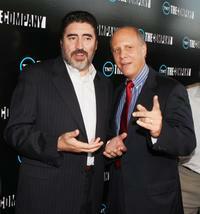 Alfred Molina and David Rosemont at the premiere of TNT's "The Company". 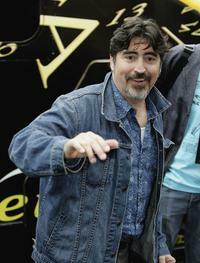 Alfred Molina at the Miramax Films premiere of "The Hoax". 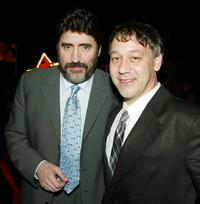 Alfred Molina and Sam Raimi at the after-party for the premiere of "Spider-Man 2". Alfred Molina, Sam Raimi and Amy Pascal at the after-party for the premiere of "Spider-Man 2". Alfred Molina and wife Jill at the Sardi's Famous Wall. 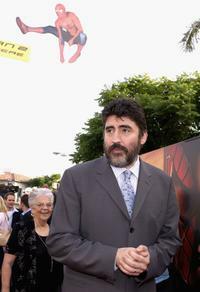 Alfred Molina at the premiere of Sony film "Spider-Man 2". 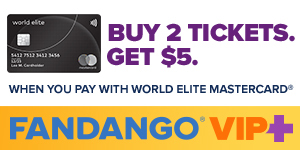 Alfred Molina at the Eurostar's Waterloo International Terminal, for new film "The Da Vinci Code". 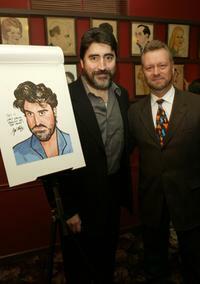 Alfred Molina and Vincent Sardi at the Sardi's Famous Wall.